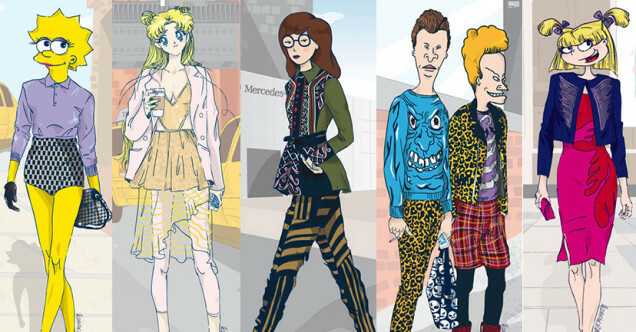 My childhood cartoon characters turned into fashionable adults? I thought I'd never see that in my life! Thanks to the truly amazing collaboration of Swagger New York and artist Michele Moricci it's actually happened. Seeing Lisa Simpson showing legs for days in Marc Jacobs and Daria sporting Prabal Gurung in the street style shot drawings has truly put a smile on my face and a picture to my young imagination from my favorite 90's cartoons.